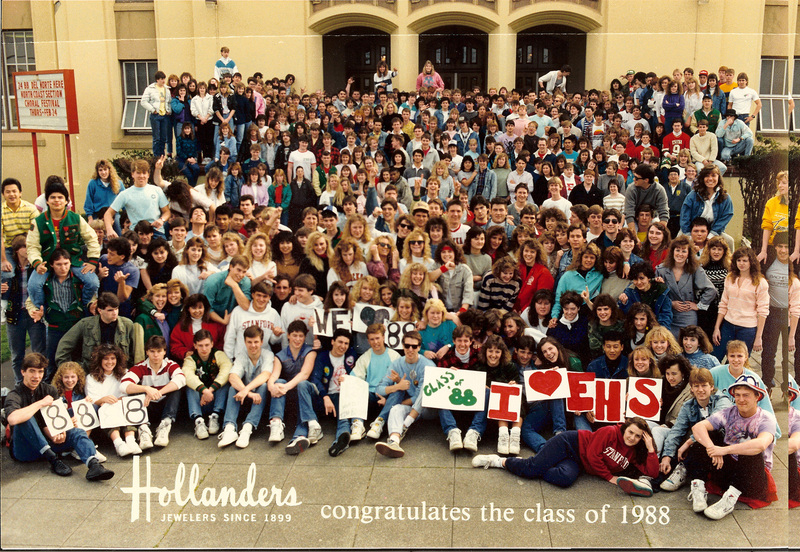 Welcome to the class of 88's website! It's hard to believe we graduated 30 years ago. We can't wait to catch-up with all of our classmates. Let's hope that many of us will be able to participate in all the events planned for the reunion weekend. Click on the "Events" page. We understand that several classmates would like to organize events as well. If you would like to organize something that same weekend, just send us an email at ehsclassof88@gmail.com and the committee will decided to include your event on our site so everyone knows. We are also looking for articles that are not posted and pictures to share with the classmates. Send pictures to our email and we will post to the website. Check back often to see the new photos. Click on the buttons on the left to take you to various pages of this website. Don't forget to RSVP and sign the Guest Book.